Club Baseball hosted Rensselaer Polytechnic Institute for a doubleheader at University Field on Saturday, March 30th. In Game 1, Stephen Locorriere pitched 6 shutout innings, allowing only 2 hits and striking out 9 to lead Hofstra to a 1-0 win. In Game 2, the Hofstra offense exploded for 9 runs in the 4th inning to propel the Pride to a 16-11 victory. 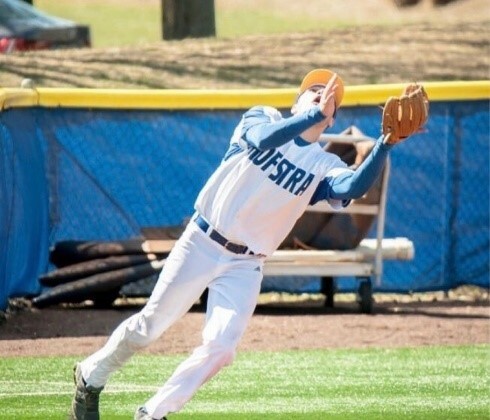 Club Baseball swept a doubleheader from RPI on Saturday, March 30th at Hofstra University. The team next hosted 3 games against Fordham University at University Field on Saturday, April 6th and Sunday April 7th. The Pride would unfortunately drop all 3 contests on the weekend by scores of 9-8, 12-3, and 8-3. Club Billiards had a successful tournament in the Hofstra Game Room on Friday, March 29th. Steven Jackobovitz defeated Tim Murphy 5-1 in the finals of the 9-ball tournament. On Sunday, March 31st the club traveled to Raxx Pool Room for an APA League match and won a close match, 7-6. Zaviel Young won his match with a shutout. Club Climbing visited Brooklyn Boulders Gowanus on Saturday, March 30th with 28 members in attendance. The club continued to improve by taking on more challenging climbs. The club also voyaged to Brooklyn Boulders Queensbridge on Saturday, April 6th, with 30 members focusing on bouldering. Bouldering refers to climbs that are protected by pads rather than ropes. 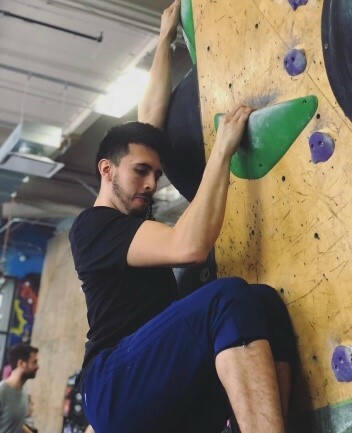 Club Climbing President Juan Fuentes in action at Brooklyn Boulders Gowanus on Saturday, March 30th. 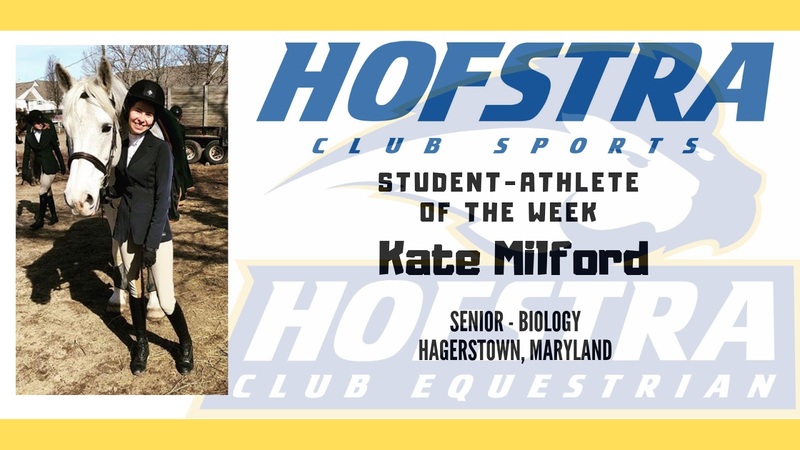 Kate Milford represented Club Equestrian well in the Novice Flat Class at the IHSA Regionals held at the Good Shepherd Farm on Sunday, March 31st. Overall the team finished 8th out of 11 schools in the region. 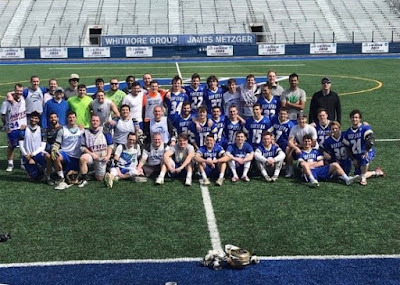 Club Men’s Lacrosse hosted their alumni players on Saturday, March 30th at Shuart Stadium. The current team was able to hold off the challenge from the alumni, winning the game by a score of 14-9. Club Lacrosse took on their alumni at Shuart Stadium on Saturday, March 30th. On Sunday, March 31st, the Pride traveled to Rutgers University to take on Rutgers and Villanova. The team would come up short in both contests, losing to Rutgers 5-4, and falling to Villanova 7-4. The team next traveled to Fordham University on Friday, April 5th with a playoff spot on the line. Ryan Garry scored for the Pride with less than a minute remaining to knot the game at 6-6 and force overtime before Kyle Anderson scored to give Hofstra a 7-6 victory and send them to the NCLL Playoffs. On Sunday, April 7th, the club hosted Fairfield and Stony Brook at Shuart Stadium for the Joe Ferriso Classic. Hofstra dropped the first game to Fairfield by a score of 8-3, before rebounding to defeat Stony Brook 12-3. The club then celebrated with a BBQ after the game to honor their late club member. 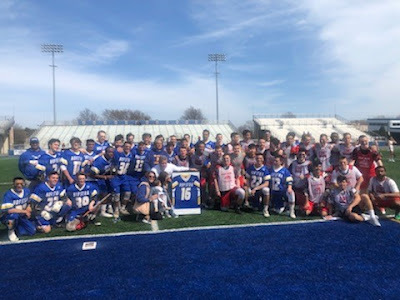 Club Men’s Lacrosse hosted the Joe Ferriso Classic on Sunday, April 7th at Shuart Stadium. Club Men’s Rugby traveled to Vassar College in Poughkeepsie, New York on Sunday, April 7th for a chance to qualify for the USA Rugby National 7s Tournament in Tucson, Arizona. 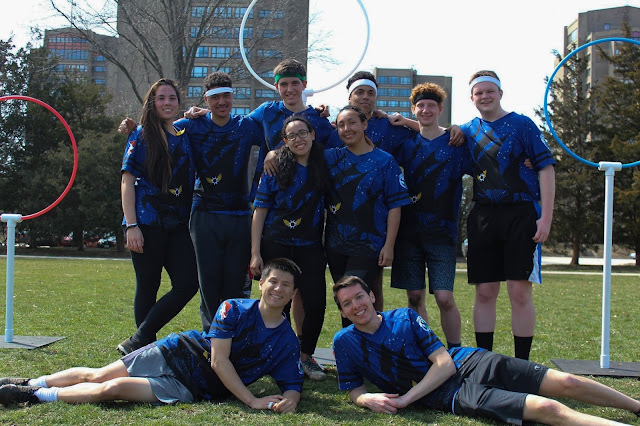 After dominating pool play with a 3-0 record, Hofstra defeated Seton Hall 37-0 in the Quarterfinals. In the semifinals, the club faced the reigning champions, William Paterson University. The club would fall to the Pioneers, who went on to win their 3rd straight championship, by the score of 34-5. 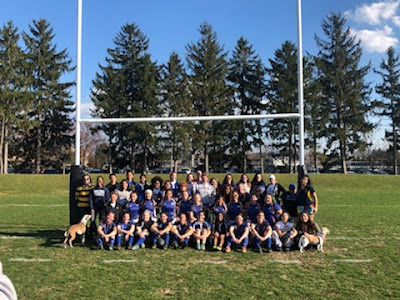 Club Women’s Rugby hosted the 10th Annual Gohring Tournament at the Hofstra University Rugby Pitch. Stony Brook, Marist, and a Hofstra Alumni side all participated in the tournament. While Hofstra would go winless on the day, the highlight of the day was the dedication of a plaque and tree adjacent to the Hofstra Intramural Rugby field in the name of the late team member Jessica Gohring. Women’s Rugby honored late team member Jessica Gohring on Sunday, April 7th at Hofstra University. Club Men’s Soccer dropped a 1-0 decision to Adelphi University on Sunday, March 31st at the Hofstra Soccer Stadium. Freshman Goalie Joe Ronzetti was a stalwart in net for the Pride throughout the game. Club Running participated in the 3rd annual NIRCA Northeast Regional Track meet at St. John’s University on Sunday, March 31st, with Victoria Crowley and Andrew Giovinazzo gaining valuable meet experience. Club Ski and Snowboard visited Montage Mountain on Saturday, March 30th for their first trip of the semester. Despite relatively unfavorable conditions, the club had 14 members in attendance and helped the beginners learn how to ski and/or snowboard. Club Softball traveled to Fordham University for a tripleheader on Sunday, March 31st. Hofstra would take 2 out of 3 games on the day, winning Game 1 10-8 behind the strong pitching of sisters Kat and Robbi Reed, and claiming Game 3 by a score of 13-1, propelled by a 3 home run performance from Taylor Russnak. Club Softball took two out of three from Fordham University on Sunday, March 31st. The team next hosted New Haven University at Eisenhower Park on Sunday, April 7th. Senior Rikki Rooklin’s inside-the-park home run highlighted the Pride’s sweep of the Chargers. Club Women’s Lacrosse visited Fordham University on Saturday, March 30th to take on the Rams. Zoe Szczotka scored five goals and Allison Shamir added two goals, but the Pride would ultimately fall by a score of 14-9. The team next visited Yale University on Saturday, April 6th to play both Yale University and Clark University. Hofstra would defeat Clark by a score of 8-4 behind 11 saves by Maddy Lustberg and goals by Jessie Allendorf (3), Allison Shamir (2), Zoe Szczotka (1), Maddie McDonagh (1), and Sabrina Michael-Duncan (1). The team would also triumph over Yale by a score of 7-6, with goals coming from McDonagh (2), Shamir (2), Allendorf (1), Michael-Duncan (1), and Grace Giannatsis (1). Maddy Lustberg was solid again in the cage for Hofstra with 11 saves. On Sunday, April 7th, the club hosted NYU for their Senior Day game at Shuart Stadium. The team would again come out on top with an 11-4 victory, sparked by goals from Szczotka (3), Shamir (3), Allendorf (1), McDonagh (1), Michael-Duncan (1), Mikayla Ruthig (1), and Alyssa Murphy (1). Maddy Lustberg and Emily Turrini combined for 11 saves on the day. 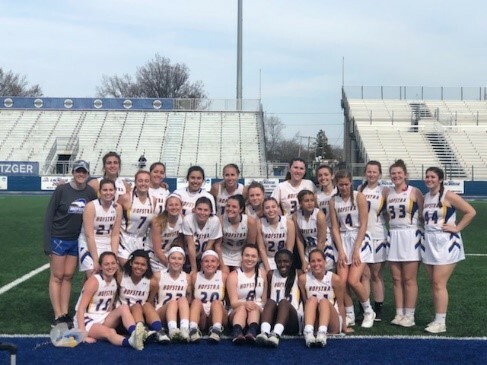 Women’s Lacrosse hosted their Senior Game at Shuart Stadium on Sunday, April 7th. Club Quidditch hosted a tournament on the Hofstra Intramural Fields on Saturday, March 30th. The team posted a 2-1 record on the day, notching wins over Rutgers and NYU. 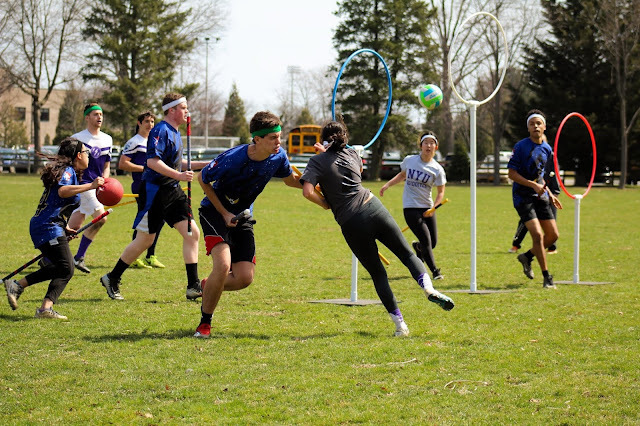 Club Quidditch hosted a tournament on the Hofstra Intramural Fields on Saturday, March 30th. Club Women’s Ultimate visited Stony Brook University for the Strong Island tournament on Saturday, March 30th and Sunday, March 31st. The team would finish in 5th place overall, notching 2 wins over Boston University. 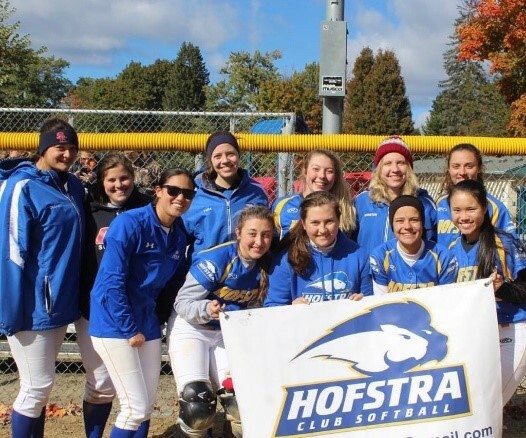 Haley McPartland and Jessica Siskind were the leading scores for Hofstra on the weekend. Club Men’s Ultimate also participated in the Strong Island Tournament on Saturday, March 30th and Sunday, March 31st. The men finished 4th in their tournament, including an impressive 3-0 record during pool play. The highlight of the tournament was a 10-9 comeback win against UMass Lowell in the quarterfinals. 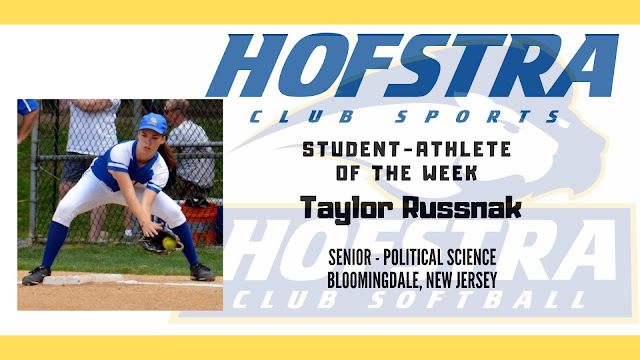 Russnak blasted three home runs in the team's 13-1 victory over Fordham on Sunday, March 31st. 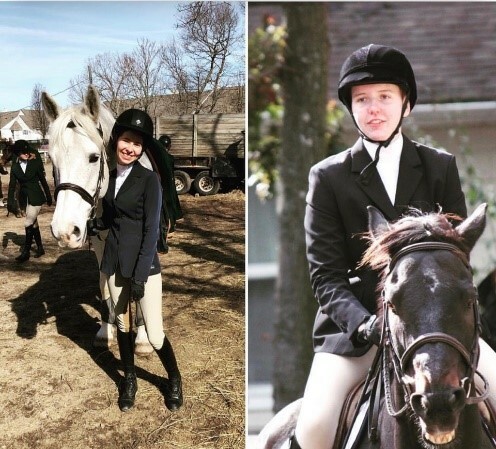 Club Equestrian competed in a show hosted by Adelphi University and the Pratt Institute on Sunday, March 10th at the Thomas School of Horsemanship in Melville, New York. Several members placed in their events, including Tekla Simon (4th, Walk/Trot), Victoria Vossler (5th, Advanced Walk/Trot/Canter), Hannah Matuszak (6th, Novice Flat, 3rd Novice Fences), and Kate Milford (5th, Novice Flat). The club also participated in a show hosted by NYU and Princeton University on Sunday, March 24th at Olde Towne Equestrian Center in Selden, New York. Placing for Hofstra were Kate Milford (4th, Intermediate Fences, 3rd, Novice Flat), Erin Rosner (4th, Intermediate Fences, 4th Intermediate Flat), Katie Rozek (3rd, Novice Flat), Alyssa Burke (3rd, Advanced Walk/Trot/Canter), Taylor Morgan (2nd, Beginner Walk/Trot/Canter), Lauren Jenkins (4th, Beginner Walk/Trot/Canter), Purva Chavda (6th, Walk/Trot), and Tekla Simon (5th, Walk/Trot). Kate Milford and Hannah Matuszak qualifed for IHSA Regionals based on their performance this season. Club Baseball hosted a doubleheader against Siena College at University Field on Saturday, March 23rd. Despite dropping both games, there were bright spots for Hofstra. Anthony Speelman shined for the Pride, going 4-7 with a triple and 3 RBIs while playing great defense at shortstop. Tyler Symington caught both games behind the plate while going 3-6 with a run scored. The team next hosts RPI for a doubleheader at University Field on Saturday, March 30th at 12pm. 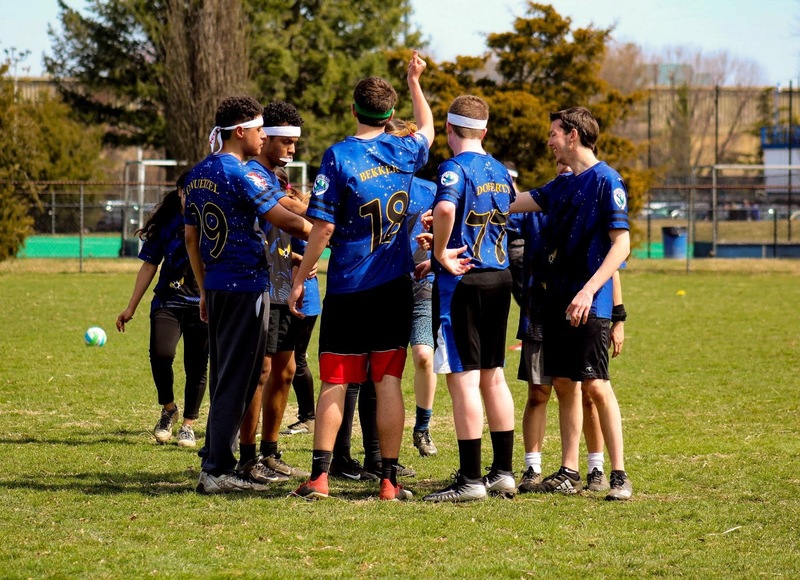 Club Men’s Ultimate traveled to Prospect Park in Brooklyn for an 8-game tournament on Saturday, March 9th and Sunday, March 10th. The club posted a 2-6 record, defeating Cornell University and Tufts University. The Dutchmen significantly improved their level of play from last season, battling each game to the final minute. Club Women’s Ultimate hosted a 4-team tournament on Saturday, March 9th on the Hofstra Intramural Fields. Despite going 0-3 in pool play, the team was happy with their early season performance. Club Billiards visited the Raxx Pool Room on Sunday, March 10th for a tournament, in which the club won by a score of 9-5. Andrew Sciglimpaglia, Danny Pires, Tim Murphy, and Zach Cedar won their matches. The club was next in action on Sunday, March 17th at Raxx Pool Room. The club won by a score of 11-1 with all 5 members winning their matches. The team continued its hot streak on Sunday, March 24th at Baldwin Billiards, posting a 9-4 victory. Steven Jacobovitz, Danny Pires, Victoria Wetmore, and Zaviel Young all won their matches. Club Powerlifting hosted the RPS Dominion at the Hofstra Fitness Center on Saturday, March 16th. Joshua Pimentel competed in his first powerlifting competition, totaling 1140 lbs. in the 3 events (Squat-400 lbs., Bench-265 lbs., Deadlift-475 lbs.). 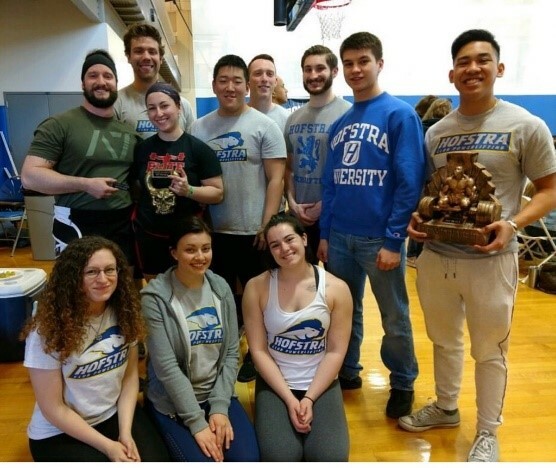 Hofstra Club Powerlifting celebrates after successfully hosting the RPS Dominion meet on Saturday, March 16th. Josh Pimentel competed in his first meet as a member of Hofstra Club Powerlifting on Saturday, March 16th. 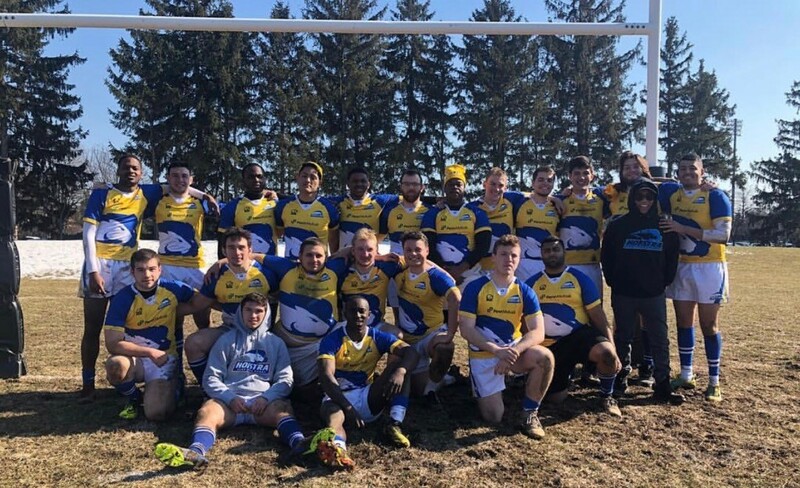 Club Men’s Rugby opened their season on Saturday, March 9th, hosting Molloy College on the Hofstra Intramural Rugby Field. Although the game was developmental, the team dominated Molloy for all 3 games of Sevens. Hofstra Men's Club Rugby sporting their new uniforms after their developmental scrimmage against Molloy College on Saturday, March 9th. Club Women’s Rugby made the journey to Siena College on Sunday, March 10th for a day of Sevens Rugby. The team played 6 games on the day, posting a 2-3-1 record. Hofstra Women's Club Rugby played four Sevens matches against Siena College on Sunday, March 10th. The team next traveled to Montclair State University in New Jersey on Sunday, March 24th. 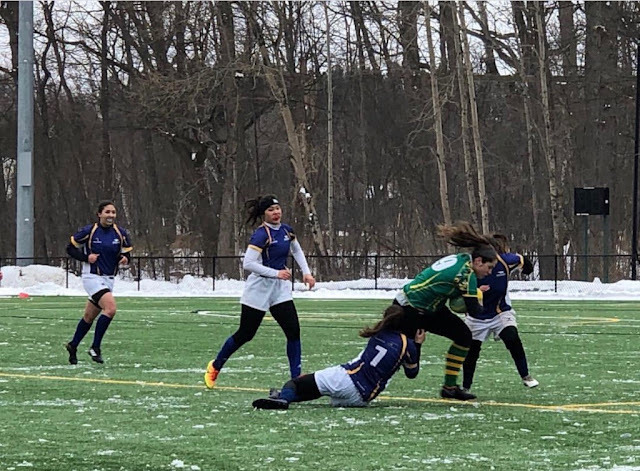 Hofstra played 4 Sevens matches, posting a 1-3 record. Karleigh Groves, Alexa Jimenez, Samantha Dickie, and Emma Husk all scored tries for the Pride in their victory. Club Women’s Lacrosse traveled to Stony Brook University on Sunday, March 10th, losing to Marist College (8-6) and Stony Brook (10-4). Zoe Szczotka scored three goals for the Pride in their loss to the Red Foxes, while Maddie McDonagh notched two goals in the defeat to the Seawolves. Club Climbing traveled to Brooklyn Boulders Gowanus on Saturday, March 9th with 30 members in tow. Two members got belay certified and with all members working on climbing harder courses. On Saturday, March 16th, the club visited The Cliffs at Long Island City for a competition. Danny Pires, Evan Blake, Jeremy Robinson, and Ryan Kozhimala competed in bouldering with a variety of challenging routes. 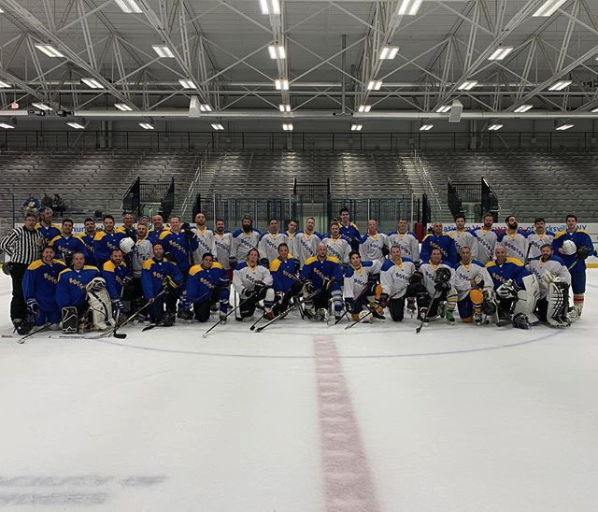 Club Ice Hockey hosted their Alumni Game at the Northwell Health Ice Center at Eisenhower Park on Saturday, March 23rd. Over 40 alumni returned to participate in the game, which served as a very successful fundraiser for the program. Hofstra Club Ice Hockey alumni posed for a picture following their Alumni Game on Saturday, March 23rd. Milford has served as the President of the Hofstra Club Equestrian team for 3 years, while also excelling in competition. She will represent Hofstra at the IHSA Regional competition next month.